Different Search Engines(Google, Bing..etc) uses a variety of methods to determine which pages are displayed first in the results. But any of them doesn’t reveal exact formula at it is a secret, but there are a few things you can do to improve your positioning in search results of Google / bing…etc. The term for this is Search Engine Optimization (SEO). 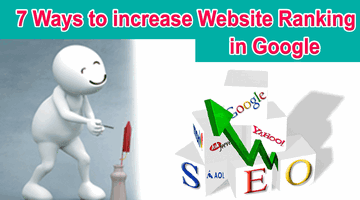 Page Title is most important thing for search engines to consider your page. keep titles with general usage words as users type in search engine with general words not with high level words. in short Be Simple in writing titles and make sure that your title impressive too as its also attract more users to read your articles.